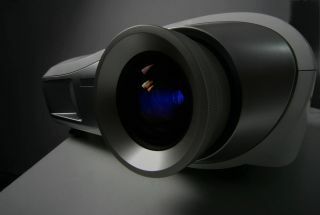 With its Ultra Short Throw lens, Casio’s LampFree projector can project brilliant shadow-free, crisp, images of up to 110”. The eco-friendly Laser & LED Hybrid Light Engine lasts up to 20,000 hours without needing to replace costly lamps or filters offering savings, both financial and environmental. The XJ-UT351WN has a full assortment of connectivity and features; produces 3500 lumens of brightness and boasts WXGA (1280 x 800) resolution. This interactive display for immersive learning provides a tablet-like experience at the front of the classroom. Perks include a natural no-leg writing experience for teachers, multiuser recognition for group efforts and connectivity to engage students through their devices for instant feedback. Set up a high tech AV nook with this affordable space saver that offers the flexibility to be used solo for small group work, or combined with multiple screens with seamless ultra thin bezel for edge-to-edge panorama effect. The 1800R curvature captures and helps focus attention by filling the field of vision within a small footprint.